Going on holiday is all about discovering little treasures and magical places as you explore. 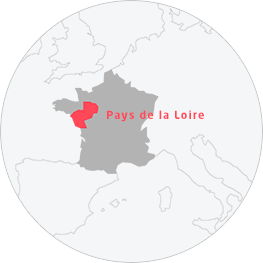 In Pays de la Loire, there's no shortage of hidden gems. Whether totally unique B&Bs or ideas for strolls that are guaranteed to transport you somewhere totally different, all you need do is go where the mood takes you! In the studio of an offbeat artist! Le Mans puts on a show!